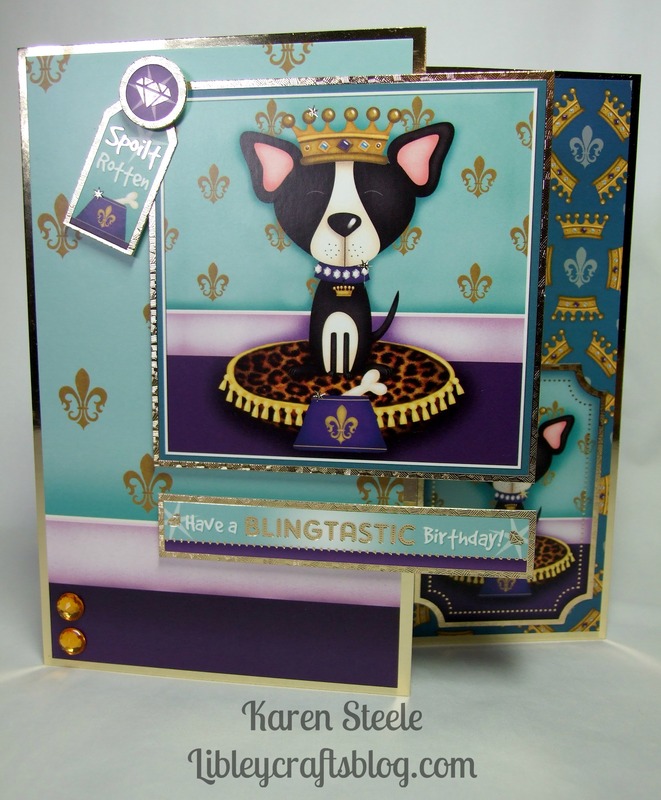 Hunkydory – Cute Kitties and Precious Pooches…..
Hello there! I hope life is treating you well and that you’re getting crafty when you can and I’d also like to wish our US friends a Very Happy 4th of July! 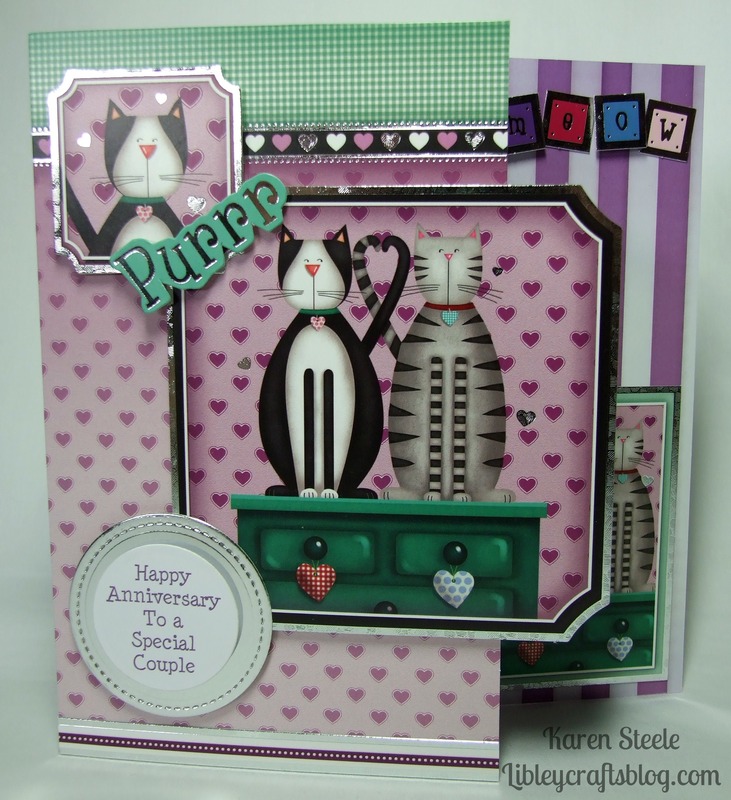 I am sharing a couple of cards with you today that I have made using 2 new kits from Hunkydory called Precious Pooches and Cute Kitties. Although I have lots of kits I just couldn’t resist the fun characters in these sets! I think almost everyone I know has either a cat or a dog – sometimes both, so I know this will be a well used set in the future! For the inside of this sweet anniversary card I used one of the inserts and some of the patterned papers that can be purchased separately from the kits and just popped on another of the toppers. For the pooch card I printed out the greeting and used some of the patterned papers again down the right-hand side and popped on another topper. On both of these cards I cut away a couple of inches or so off the front of the card blank so that it would show off part of the decorated inside of the card. The only other supplies that I used here that wasn’t in the kits was gold and silver mirror card, some self-adhesive gems, Lawn Fawn Stitched Circle Die and Spellbinders Round Dies. I saw this kit on selly telly and was not at all convinced about it. But your lovely, fun colourful cards have made me want it now!! If you aren’t on someone’s design team you really should be! 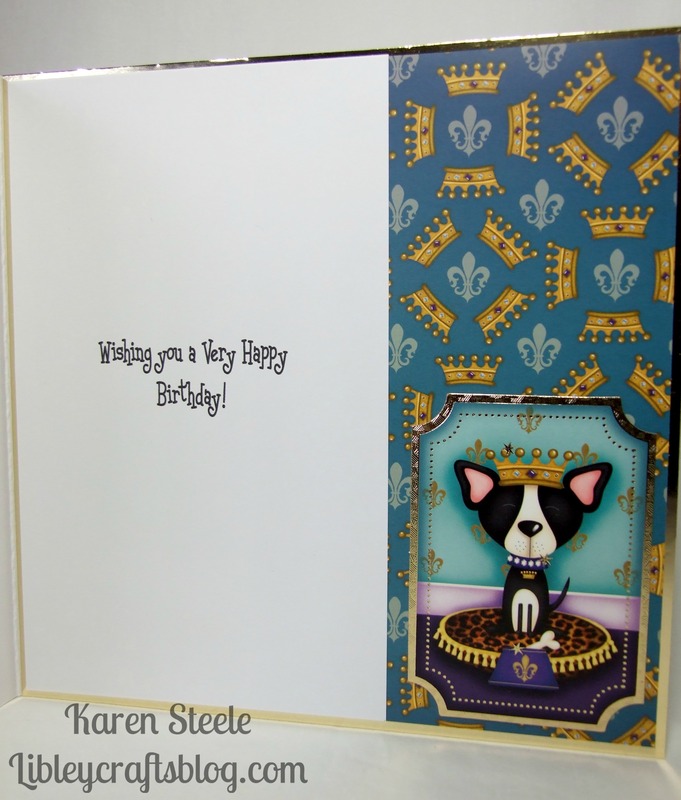 Super cute cards with the pooch and cats!! I don´t have a dog or cat but your cards are sweet, Karen ! Great cards and lovely paper in this kit. These kits look like a lot of fun – I love the finishing touches on the insides! In ten out of ten cases I’d choose cats, but this is one exception where I love the dog equally as much or even more. I’m a cat lover but most friends are dog lovers, and I know a few who’d love to receive that dog card of yours! Fantastic! Thank you so much Pia! I’m a big cat lover myself but the dogs in this set are very cute and comical!